Just a quickie today, as I want to get something off my chest. Yesterday was World Wide Knit In Public Day 2018, and whilst it was gratifying to see so many pictures of people knitting together on social media, I just don’t see the need for a special day for it. You see, I knit in public all the time, whenever I want (need) to knit ( basically, always), and I’m not at home, I’m knitting in public. I don’t need permission to do it and I really don’t care if non-knitters (the unenlightened) think it’s weird, or that I’m a bit of a curiosity. Although, in my experience, people are kind and interested and rarely imply that you must be as old as their grandmother who was last seen knitting in 1952. In addition, you are enthralling to small children who beg their mothers to teach them to knit, and their mothers confess to you they tried it once but couldn’t get the hang of it. At which point, you have to bite your tongue to stop yourself reminding them that once upon a time, they couldn’t use a spoon and that to acquire any skill, you have to practice, and so you tell them, if they really want to learn, they can join a knitting group who will happily, patiently and with enormous amounts of encouragement, teach them to knit, more or less for free. 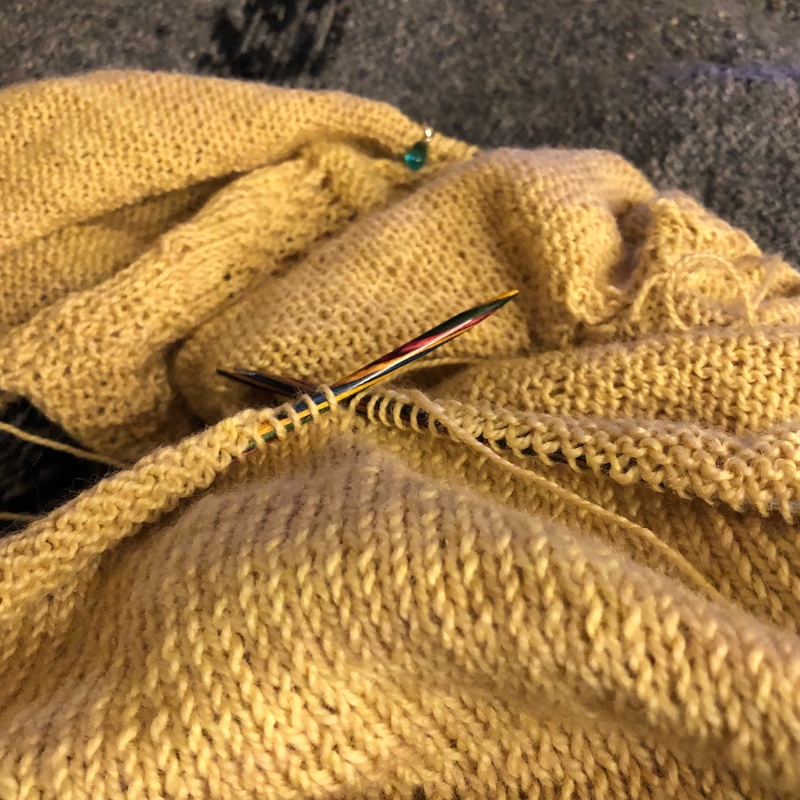 Most of the time, you can tell that’s never going to happen but, just occasionally, you’ll spark enough of someone’s interest and they will actually give it a go, and they will become a knitter. So if you knitted in public yesterday and you don’t normally do it, I invite you to join me in doing so everyday.